I love cameos. I picked up a skeleton cameo and had to make something for Halloween this year! I really like the purple and black combination for Halloween - to me it makes it a little more classy! First measure and cut the scrapbook paper to fit around the vase. Leave enough for a slight overlap. Then wrap the paper around the vase and glue the ends together, overlapping slightly. Next, cut the ribbon to fit around the vase and glue it down. Then add a second ribbon or trim if you like. So simple & easy, but it's a great look - for a touch of Halloween! Be sure to check out these fun link up partyies! Wow you have decorated such a cute votive. 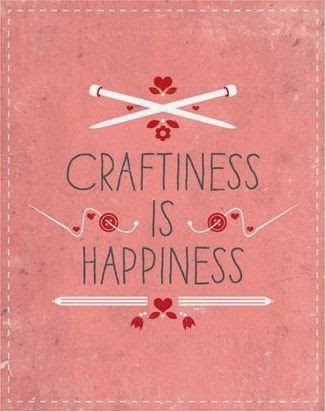 Thanks for sharing this craft with us at Cooking & Crafting with J&J. Enjoy the week. 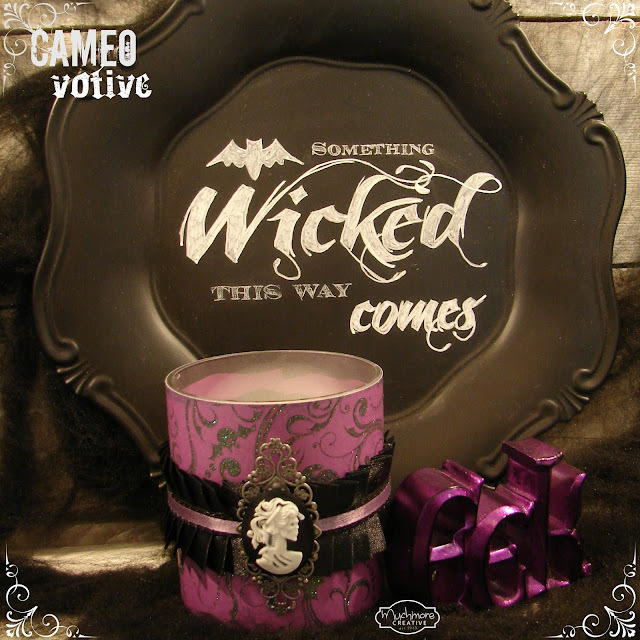 Wow your votive turned out great, I love how you used the cameo, what a great idea!! Thanks for sharing and stopping by the #OMHGWW this week! What a fun cameo Brenda! Love the purple and black. Thanks for sharing with SYC. That is beautiful! So creative. Thank you so much for sharing with us at Thursday Favorite Things blog hop. What a perfect upcycle for an old glass jar! Thanks for sharing with us at Dream. Create. Inspire. Link. Have a great week! It looks fantastic indeed! And purple and black are my favorite colors for sure..